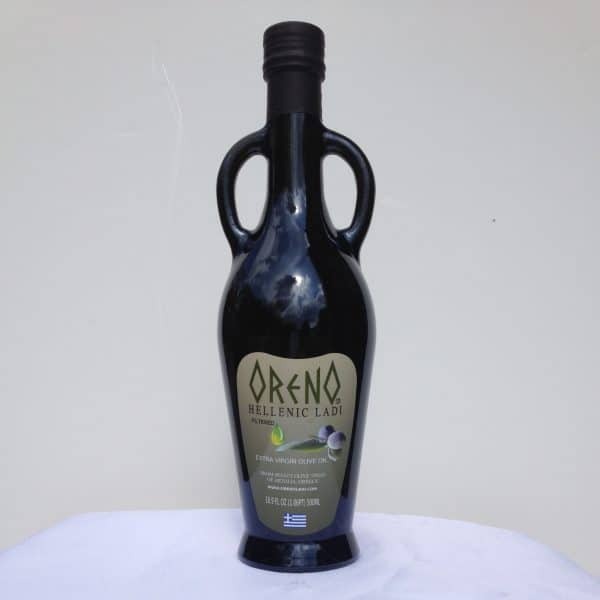 ORENO HELLENIC LADI is exclusively a single varietal extra virgin olive oil (EVOO) from the olive trees called Koutsourelia (meaning large trunk) growing on the hills within the Aetolia Region of Greece. 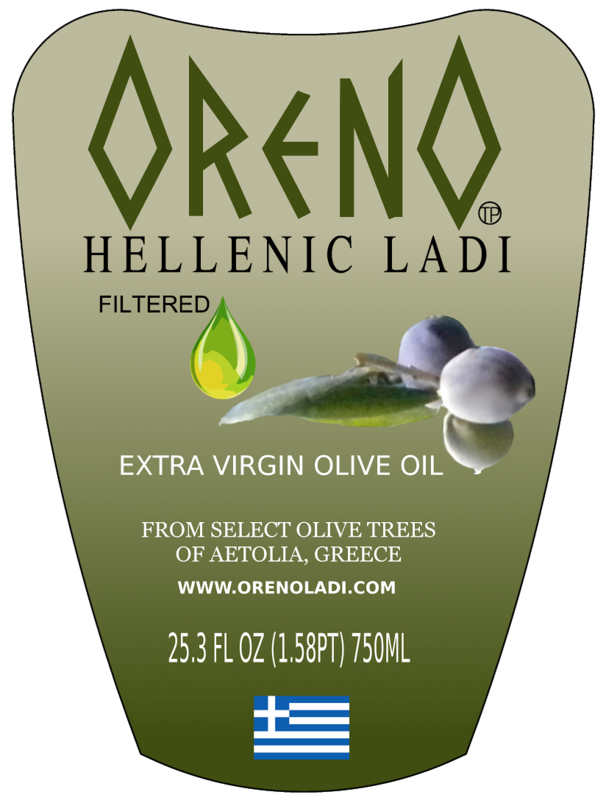 ORENO HELLENIC LADI is a true, traditional, honest, and authentic EVOO with exceptional smooth taste and a very slight peppery finish. Its aromas capture the sense of the nearby woods and flora with hints of laurel and berries. 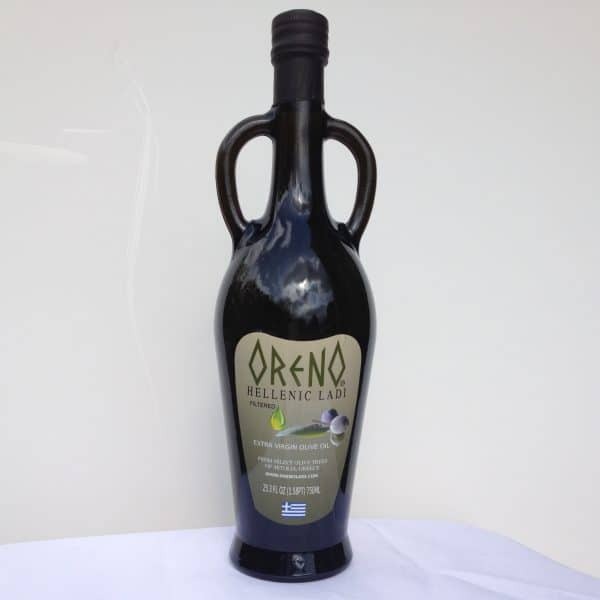 Use our EVOO with salads, marinated fish and poultry, roasted and sautéed vegetables, crusty bread or simply have a teaspoon a day. 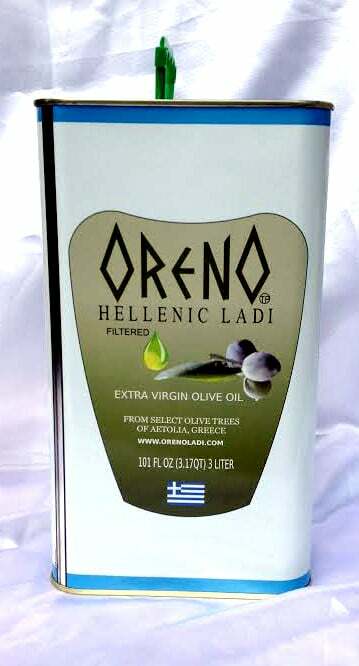 Enjoy from the ORENO HELLENIC LADI FAMILY!